Jacques Derrida was a notoriously difficult philosopher to comprehend, especially for Americans, who are baffled by his writing style and his purpose. Americans, being pragmatic, prefer ideas that can be applied to the real world and Derrida’s works seems to belong to the realm of the esoteric and untethered from actuality. Certainly, for English speakers, Continental philosophy is challenging. English sentences are relatively brief, constructed in terms of beginning middle and end. German sentences are characterized by their often extreme length–pages in some instances–their many digressions and add-ons–and the oddity of the verb at the end. French writers, that is those who write non-fiction, tend to layer their texts. The writer has a point to make and makes it and then makes it another way and then makes the same point yet another way. Derrida, however, needs to be approached, not was an ordinary philosopher, but as a poet of sorts. Basically, he was a reader who read the works of other philosophers and who then writes about the writings of others. 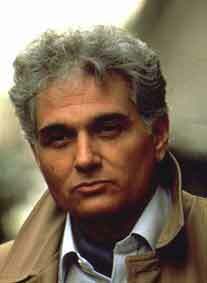 Derrida is also a reader who reads and contemplates words and enjoys playing with words and creates word play. If one wanted to visualize his books, a flock of starlings would be a good analogy: the flock swoops in one graceful direction and then gathers itself together to swarm off in another arc. The reader of Derrida needs only to follow along and enjoy the ride. ..aren’t you playing a philosophical farce by scrutinizing my texts with a care that would be more justified if they had been written by Spinoza, Descartes or Kant? Frankly I don’t think that what I write is worth so much fuss, especially Tristes Tropiques, in which I didn’t claim to be setting out any truths, merely the daydreams of an ethnographer in the field–I’d be the last to say there is any coherence in them. Whether or not Tristes Tropiques was “serious” enough to bear the weight of Derrida’s analysis is perhaps immaterial for the younger philosopher found a contradiction, unrealized by the anthropologist at the heart of this book. In Lévi-Strauss chapter, “The Writing Lesson,” there is an assumption of the superiority of writing illustrated when the anthropologist handed out pencils to the supposedly untouched native tribe in Brazil. But this move against Tristes Tropiques was not the serious attack on Lévi-Strauss, that would be a paper given by Derrida, not in France, but on the shores of provincial America, at the Johns Hopkins University in Baltimore, Maryland. This now famous paper, “Structure, Sign and Play in the Discourses of Human Sciences,” would deliver a coup de grâce to Structuralism on the very day when this relatively recent philosophical trend was being “introduced” to America. Culler’s Structuralist Poetics was published in the United States in 1976, by which time the publication in France of Derrida’s De la grammatologie, which inaugurates post-structualism, is an even seven years old. Of Grammatology was published in the United States in 1976; yet de Man’s Blindness and Insight, which relies upon Derrida, was published in 1971, the year before Jameson’s The Prison-House of Language (1972), analysis of basic structuralist assumptions and preceding post-structuralism. Today’s students are fortunate to have access to most of the philosophical works of this and the pre-war period, translated from French, German, Russian, Czech, and so on but it is important to have a sense of chronology and context. In order to understand the break announced by Derrida it is important to understand just what it was about Structuralism that left it so vulnerable to attack. Part of its vulnerability was Structuralism’s claim to “science” and “empiricism”and it is this very aspiration towards certainty and rigor that Derrida would target. The next post will discuss The Metaphysics of Structuralism.